Two weeks ago, a group of writers descended upon the University of Wyoming in Laramie, Wyoming for the Launch Pad Astronomy Workshop. I love astronomy and I love to see it used in science fiction, whether it’s in books, movies, or TV. Movies and TV have the biggest audiences and clips are now easy to share with current technology. I want to share some examples I really love, and a few cautionary tales that can serve as teaching moments. As a professor of astronomy, which is considered a “hard science,” I worry that the classification “hard SF” is off-putting to many readers. It makes it sound like any story labeled as such will be hard to understand, which is not necessarily true. Guest Post: A Comet is Coming! But there’s a promising new comet candidate that could rival the moon in brightness and be visible in the day time sky late in 2013. Everyone can improve their abilities at almost anything with determination, practice, and coaching. Launch Pad Astronomy Workshop, held in Laramie, Wyoming, is now accepting applications for its 2012 session. I remember being impressed with Star Trek’s Captain Kirk as a kid. Not because he could karate chop unsuspecting alien guards into unconsciousness with one blow, but because he could think his way to victory as often as not. Funded by the National Science Foundation, Launch Pad, a week-long workshop in astronomy, is underway in Laramie, Wyoming. I would like to share ten resources, more or less, that I think are really terrific when it comes to getting the science right. These will be biased toward my areas of expertise, and will span books, websites, and software. Old-fashioned books first. A Russian sorceress who hunts fugitive Nazi mages in 1954 South America discovers that she has a far larger destiny than her late master led her to believe. 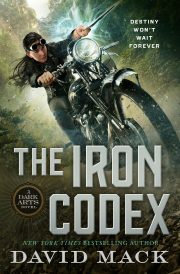 But to fulfill her true potential she must first stop a new foe from destroying the world. 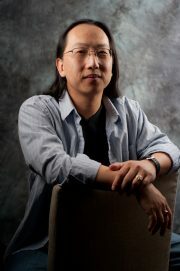 Once a Silicon Valley software engineer, CURTIS C. CHEN now writes fiction near Portland, Oregon. His debut novel WAYPOINT KANGAROO is a science fiction spy thriller about a superpowered secret agent facing his toughest mission yet: vacation.